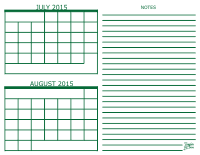 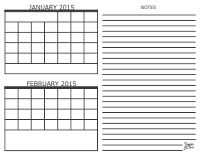 2 month calendars are available in PDF format. Five colors to choose from and can be printed on standard letter size paper (8 1/2" x 11") in landscape orientation. 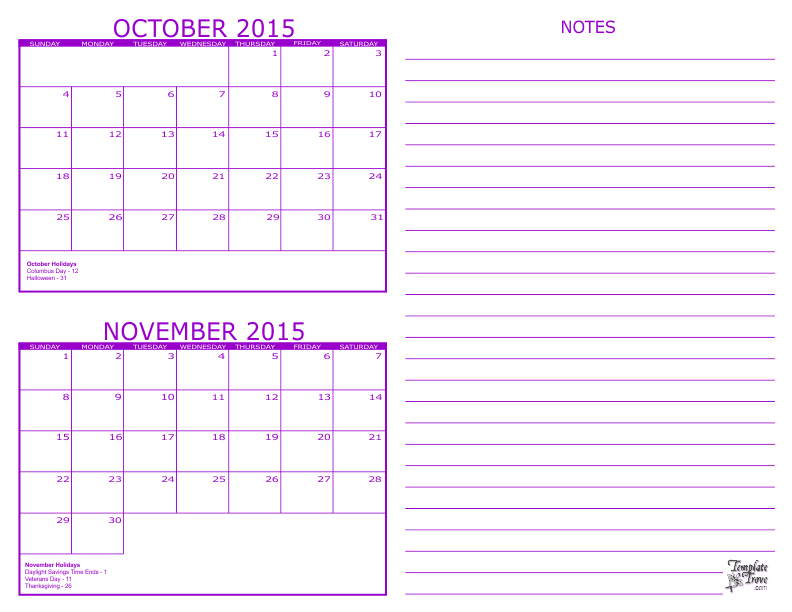 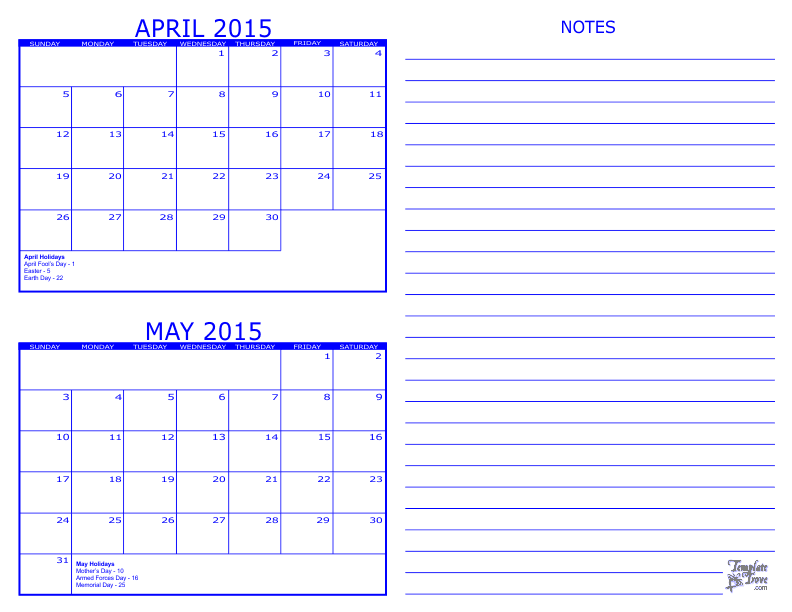 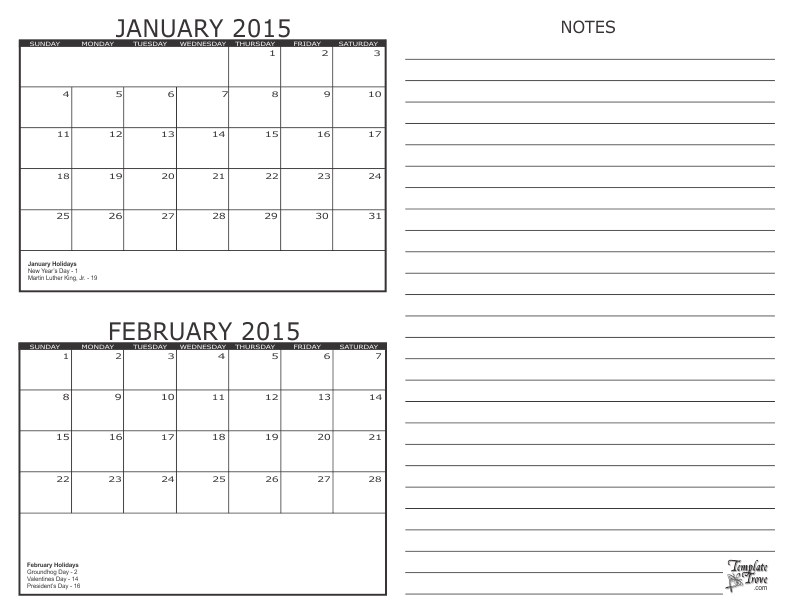 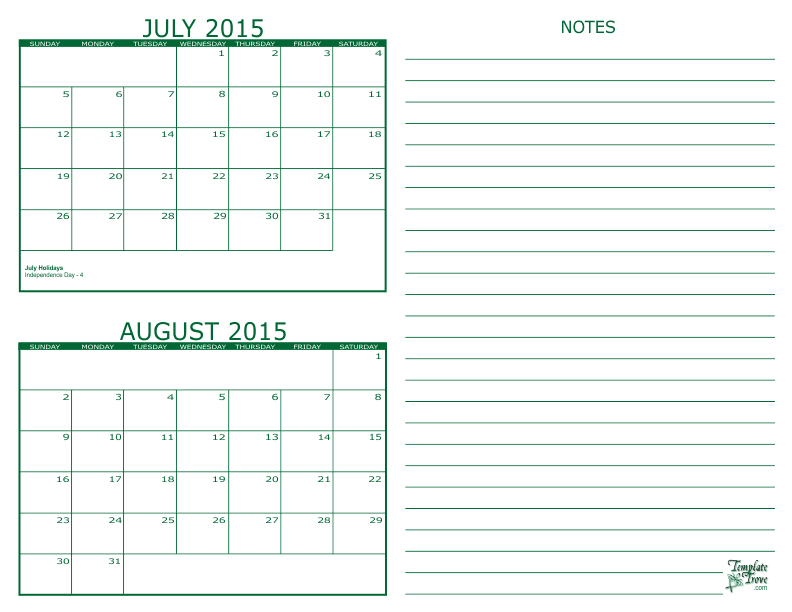 2 calendar months on each page with a notes section for each month.